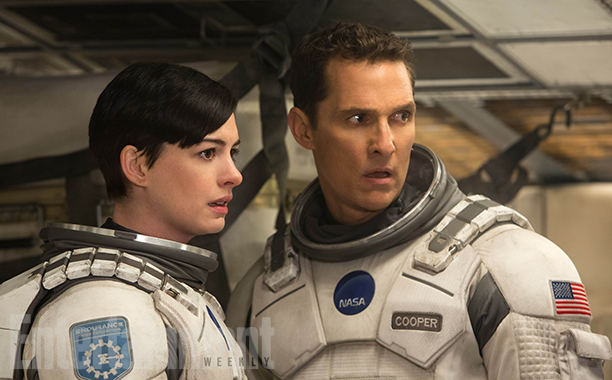 Matthew McConaughey and Anne Hathaway are on an intergalactic mission to save civilization on Earth in Interstellar. Interstellar is one of those movies one would not expect to be too big of a success especially with a November release but it has really caught on. I had my chance to find out why just a short time ago. Normally I would go into an analysis of the plot but I decided to skip it since it was so widely seen by now. Instead I will focus on how the film did as a film and as a sci-fi movie. I will admit that this is not an original concept. A story of a civilization in danger requiring a trip to save it has been done before. I haven’t seen a movie where it required a space trip to do so but I’m sure it’s been done. In order for a movie like Interstellar to work those themes, it had to have a well-thought out story. Especially with the situation where saving civilization meant travelling to another planet or even another galaxy. Already at the beginning we see aspects of a hopeless world with crop blight and dust storms. We see further chaos at the school as Murphy’s teachers teach liberal conspiracy theories as the truth and Tom’s grades are great for his career pursuit but not competitive enough to get into a university. A story like this also would have to make the time delay between space and earth work rather than look stupid and schlocky. Even for a space mission that’s doomed from the start to succeed, it has to be well-written and thought out with precision. One element that was rightfully included was the human element of the film. Cooper was to go on a mission to preserve the human race from a future of doom. It’s a trip where he ages one month for every seven years humans on earth age. It’s Cooper’s connection with his family over the spans of time–especially with Murph– that keeps the focus on why this mission has to be a success. It’s at the very end where Cooper who appears not to have aged a bit finally meets up with Murphy, elderly and on her deathbed surrounded by her family, that we see why this mission was so important. Even the images where Cooper talks with Tom and sees his grandson is an element that shows why this mission is necessary and why they have to succeed even when it seems all hope is lost. The mission itself had to be smartly written from launch to activity to failures to battles and to returning to Earth in order for this film to be successful. The inclusion of TARS had to work. He can have his humorous moments but he can’t come off looking ridiculous as if he was trying to be a rip-off of C3P0 or Johnny Five. Also outer space and the terrain of the other planets had to look like a world unlike any other. That’s what makes a space movie: the ability to thrill as well as capture people’s imagination. Overall, this is what Christopher Nolan had to do both as director and co-writer along with his brother Jonathan in order to make a film like this work. They not only had to show the hopeless state of the world but also make the mission work out even with its doomed failings and it had to keep Cooper’s connection with this family on earth while this aging gap was happening along the way. They had to deliver a film that was smart but also entertaining and mesmerizing like a film about space travel should be. They succeeded. Having a mission that was smartly planned out, making the staggered time lapsing happen and keeping Cooper connected with his family a galaxy away is what made this film not only work but win over audiences. It shouldn’t really be all that surprising that a smart sci-fi thriller should come from Christopher Nolan. He showed he can do a thriller that’s both intelligent and a box office winner with Inception. He does it again here. 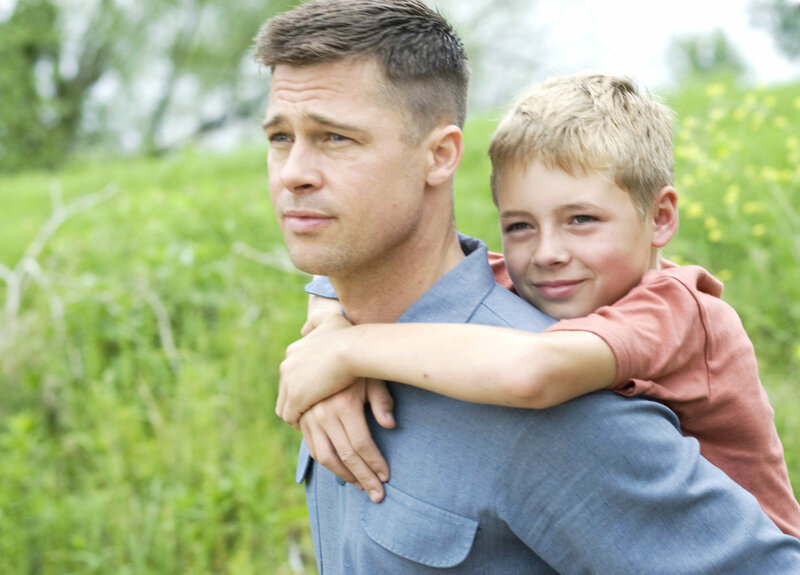 The excellence of the film is not just that of Jonathan and Christopher Nolan. It also involved great acting from Matthew McConaughey, Anne Hathaway, Michael Caine, Jessica Chastain and even minor performances from Casey Affleck, John Lithgow and Matt Damon. I’ve seen better acting from all of them in the past but they all did very well here. Newcomer Mackenzie Foy was also very good in portraying the daughter with her love for her father and her anger for him. Other standouts of the film were the top notch visual effects. A space movie is supposed to capture people’s imaginations and take the audience to a different world and it succeeded here. The cinematography from Hoyte van Hoytema delivered and the music from Hans Zimmer added to the feel and experience of the film. Interstellar is a sci-fi movie that’s both imaginative and intelligent. It combines a smart story with a dazzling space mission and comes out a winner.